The Andalusian government has finally caught up with Toma & Coe (T&C). Earlier this month, the regional branch of leftist party Podemos suggested that the network of trails in Andalusia, the Camino Mozarabe, that form part of the Camino de Santiago de Compostela be declared of touristic interest and promoted accordingly. The suggestion received unanimous backing from other parties, keen as they are to promote the natural beauty and fascinating cultural history of Andalusia. Podemos’ motion also served as a reminder that this famous pilgrimage does not just stretch across the verdant countryside of northern Spain, but also has roots in the sun-baked terrain of Andalusia. 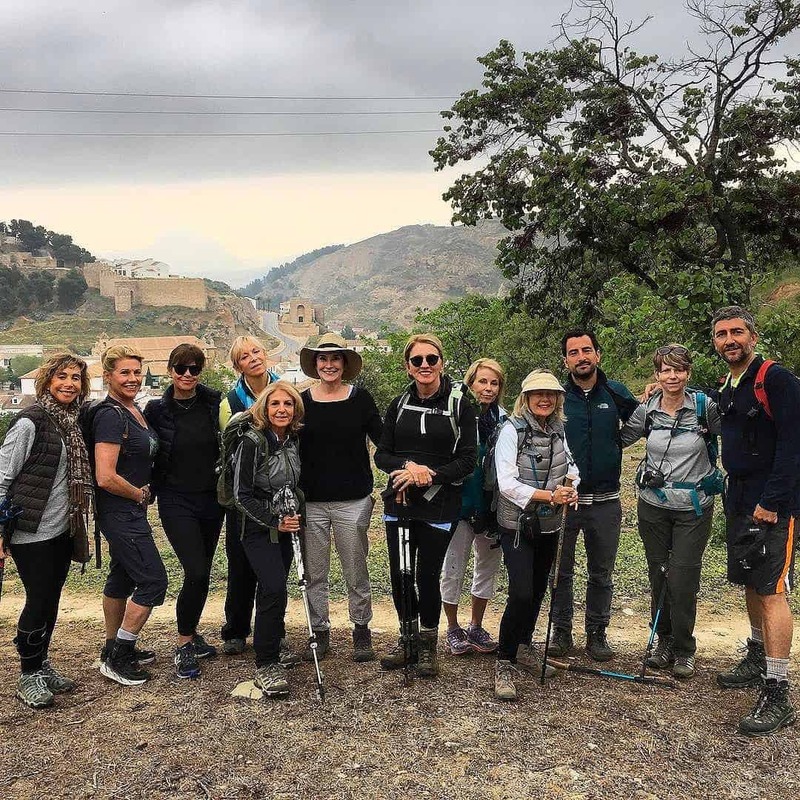 Last April, long before Podemos flagged up the richness of Andalusia’s contribution to the Camino de Santiago, T&C launched Part One of its “Camino Mozárabe” walking tour, a seven day (eight night) route that covers almost 100km between Málaga and Córdoba. 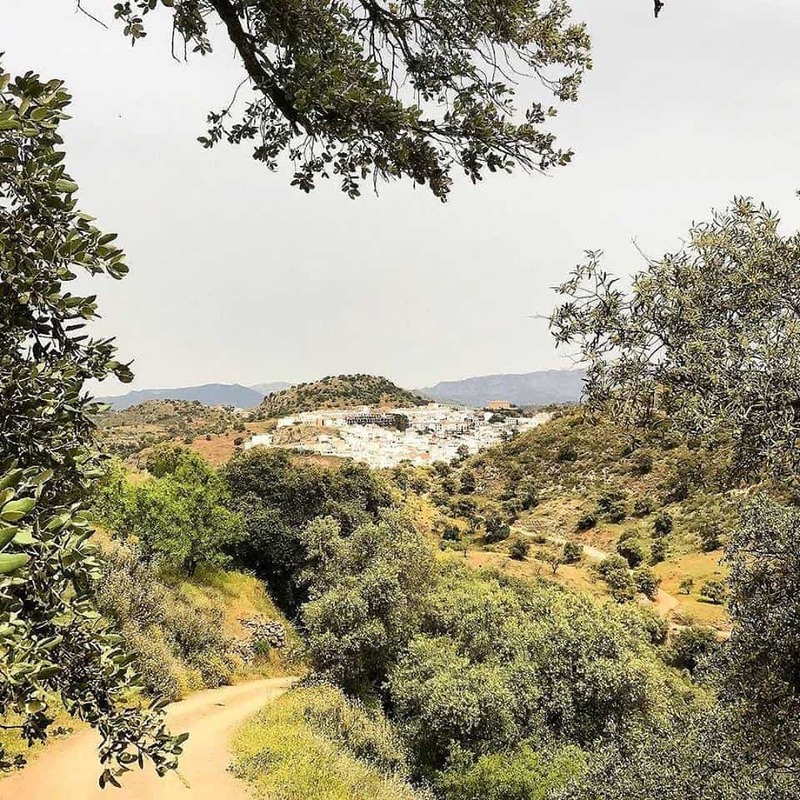 It runs along a manageable (both in terms of time and difficulty) section of a trail known as the Camino Mozárabe de Santiago, the Andalusian parts of which start from Almeria and Málaga, joining at Baena, from where the trail weaves up to Córdoba. 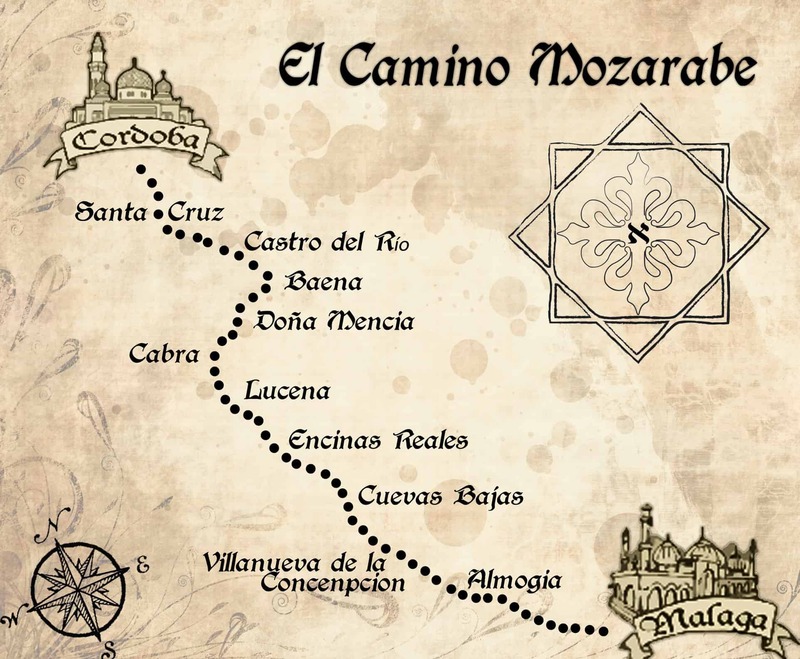 This route takes its name from the Mozarabs – Christians who retained their own religion and mores whilst living in Moorish southern Spain, many of whom would make an annual pilgrimage to Santiago de Compostela in Galicia. In a month, T&C will be wowing a new group of guests by following in their footsteps for a second time. Luxurious boutique hotels and charming cortijos – rustic country farmhouses – selected by T&C along the way provide plenty of comfort and opportunities for self-indulgence. But the Camino Mozárabe also offers the unmediated contact with nature sought by many who undertake such experiences. The fact that this part of the pilgrimage is relatively unknown (something Podemos’ initiative aims to rectify) also means that the paths are frequently empty of other walkers, unlike on the more popular northern sections. It was the more famous part of the Camino walked by Martin Sheen’s character in the 2010 film “The Way”, directed by the actor’s son Emilio Estevez (worth a watch, by the way). The pilgrimage-within-a-pilgrimage starts in the vibrant city of Málaga – where guests are welcomed, shown the sights, and spend their first night – and takes in some stunning parts of Andalusia on its way up to Córdoba. The first 15km stretch leads out of the city into the rugged Montes de Málaga that lie to its north, taking in unspoilt river valleys and ancient olive and oak groves. Featuring a total ascent of just under 900 metres, this section also involves the greatest climb of any part of the route to Córdoba. Moving north from the small village of Almogia, the trek carves through the foothills of the El Torcal natural park (Day Three), home to some of the most spectacular karst landscape in Europe. It is amazing to think that this bizarre and beautiful part of Málaga was once the bottom of a marine corridor that stretched from Cádiz to Alicante; the stacked towers of limestone rock that lie about, looking like giants’ abandoned playthings, are 150 million years old. From El Torcal, the pilgrimage heads to the beautiful hilltop town of Antequera, where you’ll find an important megalithic burial ground known as the Dolmen of Menga. From the top of Antequera – especially from its Moorish fortress, which sits high above the town like a humbler version of Granada’s Alhambra – there are also some jaw-dropping views of the surrounding countryside to be enjoyed. 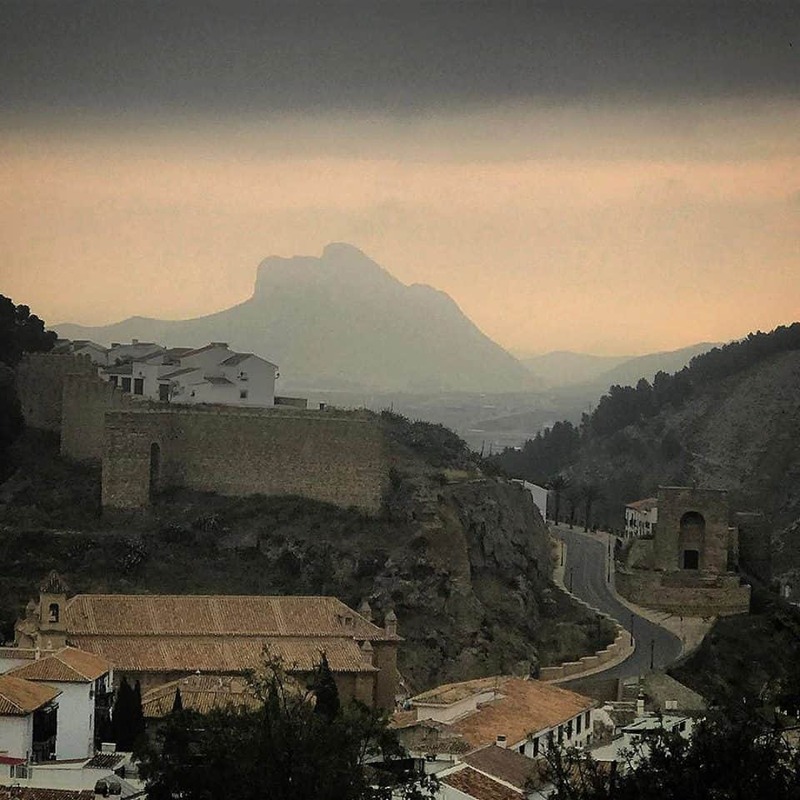 Clearly visible to the east is the iconic La Peña de los Enamorados, or Lover’s Rock: an 800-metre tall limestone crag from which a pair of Moorish lovers belonging to opposing clans once jumped to their deaths, thus escaping the wrath of the girl’s father (or so legend has it). You’ll also be able to gaze upon the dark hulk of El Torcal to the south. Pressing on from Antequera, each remaining day of the Camino Mozárabe offers something to deepen your appreciation of this romantic, mysterious part of Spain. Roman tracks to the town of Cuevas Bajas (Day Five) take you through intriguing hamlets such as El Cedrón, where Sephardic Jews settled after being expelled from Granada in 1492, and past a long-deserted monastery that hides a Morárabe chapel within. On day six of the T&C tour, guests encounter the flattest stretch of the Camino. This runs along the disused railway tracks of the former Tren de Aceite, or Olive Oil Train, offering spectacular views of the Subbéticas mountains. Next up is the historic town of Baena, where Santiago pilgrimage tracks from Jaén, Granada and Almería link up with the path from Málaga. The Camino Mozárabe’s moving finale passes through the fertile plains of the Guadajoz valley. 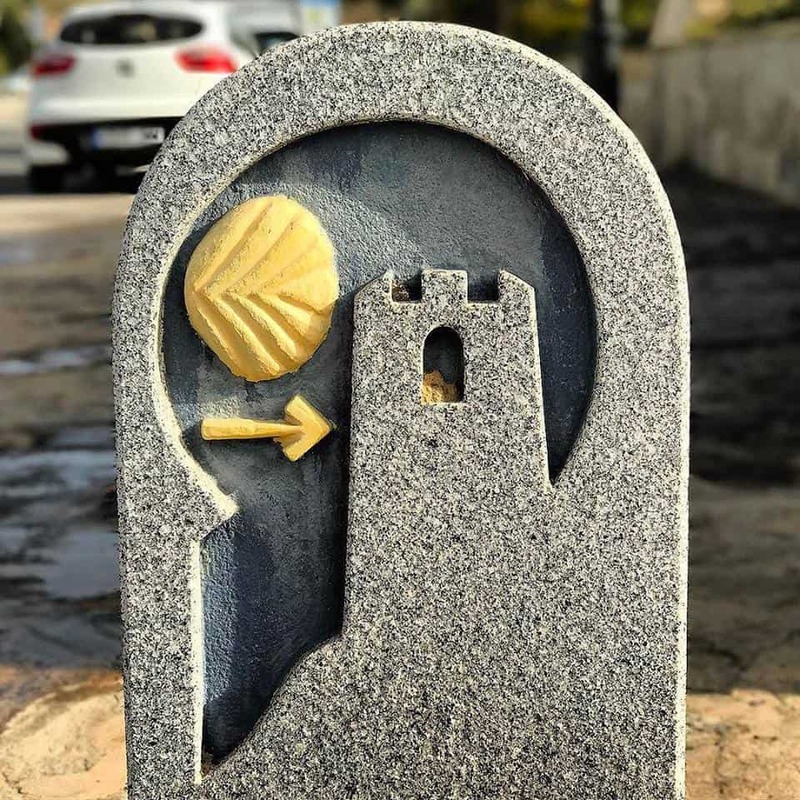 You’ll walk through Castro de Río, where Cervantes started penning the adventures of his legendarily mad knight-errant whilst imprisoned in the town’s jail. And on the final day, after having covered 99 km since leaving Málaga, you’ll enter the incomparable city of Córdoba via its beautiful Roman bridge. It’s hard to think of a more fitting end-point for this walking tour than Córdoba. When Moorish Spain was at its apotheosis in the 10th and 11th centuries, Córdoba was one of the world’s greatest cities, at the cutting edge of disciplines such as medicine, philosophy and astronomy. Its most famous monument (which T&C guests will visit) is the great Mezquita-Catedral, a stunning 10th century Moorish mosque with a 16th century Renaissance nave built on top of it. There is nothing like this building anywhere else in Spain. But then there’s nowhere like Andalusia anywhere else in the world, a fact of which you’ll be well aware by the time you arrive in Córdoba.